H x W: 17 in. / 14 in. 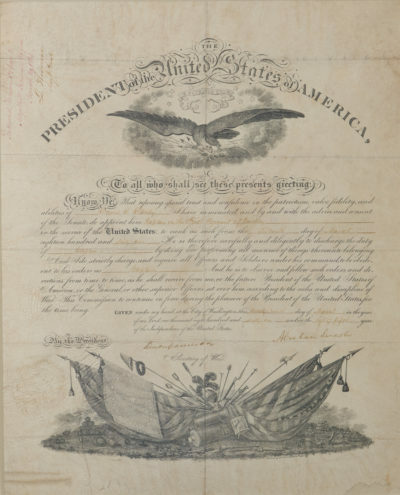 President Abraham Lincoln signed this military commission, effective 16 March 1861, appointing Lieutenant of Cavalry David Sloan Stanley with the rank of Captain.